In 1995, my first novel, Telling Stories, won the Reed Fiction Award for the best unpublished novel. The prize was $5,000, a flight to the Dunedin Writers Festival to receive it, and the possibility of the novel being published. I say possibility because it was explained to me early on that if Whitcoulls wouldn’t stock it, Reed wouldn’t publish it. Whitcoulls gave it the thumbs up and Telling Stories went into production. It was terrible. A yellow background with palm tree fronds reminiscent of the stainless steel fronds outside the Wellington’s Central Library – which had opened a few years before – but the book had nothing to do with palm trees, the library, or even yellow backgrounds. One of my friends is a painter. David Owen had recently had an exhibition and I thought one of his pictures might suit my book. I showed my editor a photograph. The picture is of a laughing man holding out a mask which appears to be laughing back at him. Given that the novel is written in two voices, one of which is the jokey creation of the other, it seemed appropriate. Publishers tell us we should use them because they’re great at marketing, but mostly all they do is send your book out to reviewers. Which is what they did with Telling Stories. And it got great reviews. North & South, Metro, The Sunday Star Times, The Listener, The Christchurch Press … It’s even mentioned in The Oxford History of New Zealand Literature. 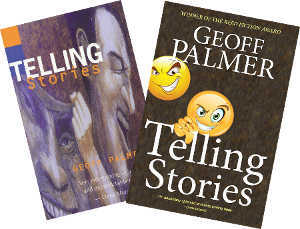 But by the time the last of those reviews came through – in New Zealand Books in August 1997 – Telling Stories was out of print. A local film-maker was keen on turning the book into a feature film. We worked on a couple of versions of the script, but in the end couldn’t get Film Commission funding, in part because … the book was out of print. That would have been it for Telling Stories. When you sign a contract with a publisher, it’s for the term of copyright – which is to say, the duration of your life, plus fifty years. And that’s it. The book no longer belongs to you. Reed have gone through at least two mergers since Telling Stories was published. I don’t know who owns them now, or who owns the rights to all the other books they released in 1996. But I do know who owns the rights to Telling Stories: me. When they offered me a contract, one of the things I negotiated was to change to the words “for the term of copyright” to “a term of ten years”. In 2006 – without any effort on my part – the rights to Telling Stories came back to me. 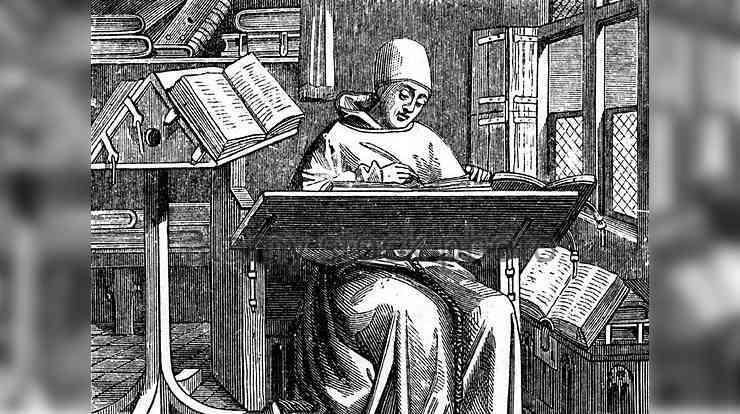 That was a year before the Kindle appeared, e-books began establishing themselves, and the terms “indie publishing” and “print on demand” emerged. It was also several years before I re-released the book – in both electronic and print formats. It’s now available, not just in New Zealand, but around the world. It’s not sold a huge number of copies by any means. But it wasn’t selling anything when it was out of print. More importantly, my book is now back in my control. This talk was originally presented at the NZ Society of Authors, Wellington Branch, in February 2018 as part of an evening entitled True (Publishing) Stories. Each speaker was given four minutes. Emails are infrequent and deal only with new books, special offers, etc.